DETROIT – Major automakers on Thursday posted a weak finish to 2018 for U.S. new vehicle sales as the industry braced for what is widely expected to be a worse year for sales in 2019. Ford Motor Co reported an 8.8 percent drop in sales for December, with declines in passenger cars, SUVs and pickup trucks. Toyota Motor Corp’s December sales dropped 0.9 percent from the same month in 2017. The Japanese automaker posted strong gains in SUV and pickup truck sales, but passenger cars were down 16.5 percent, including its flagship Camry sedan, which slid 32.9 percent. 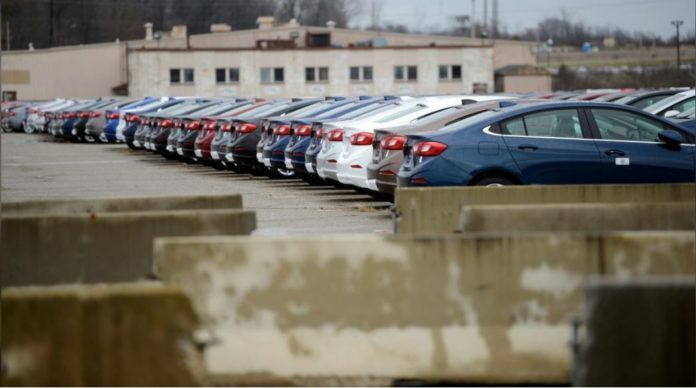 General Motors Co , which stopped reporting monthly sales last spring, reported a 2.7 percent drop in fourth-quarter sales, with declines for Chevrolet, Cadillac and Buick brands. The No. 1 U.S. automaker also posted drops for some of its more popular larger vehicles, including the Chevrolet Suburban, the Cadillac Escalade and the GMC Yukon, all high-margin SUVs. The automaker expects industrywide U.S. new vehicle sales to hit 17.3 million units for 2018, a slight increase versus 2017.